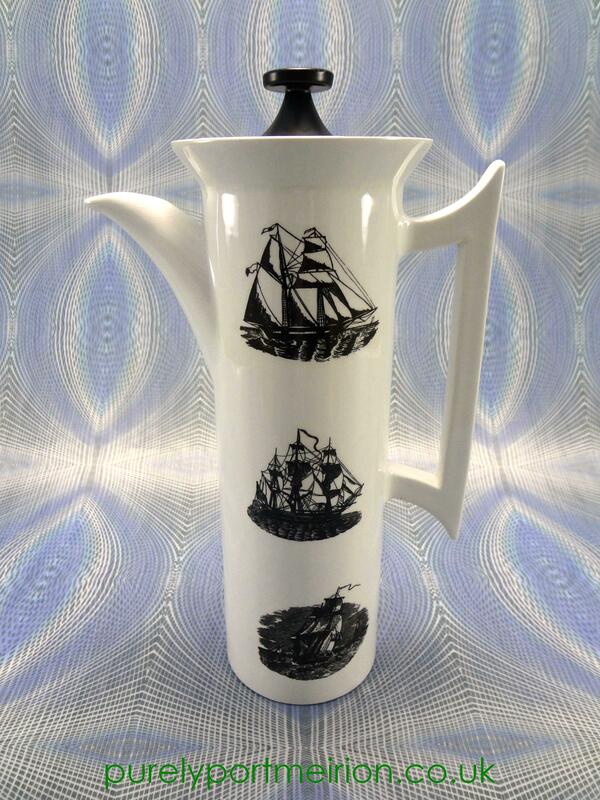 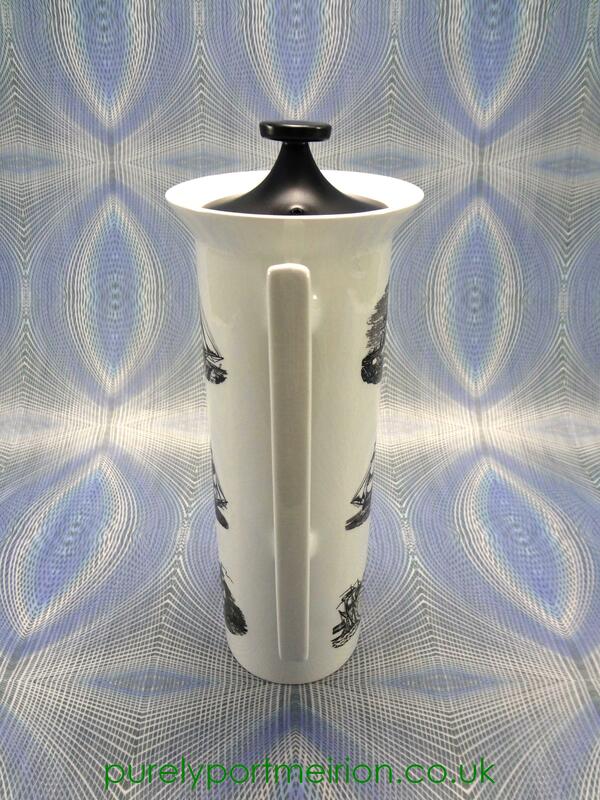 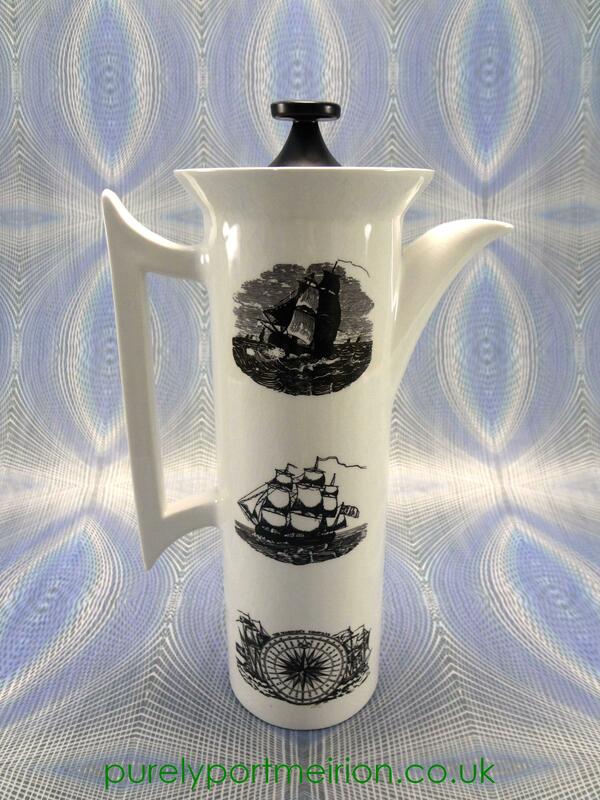 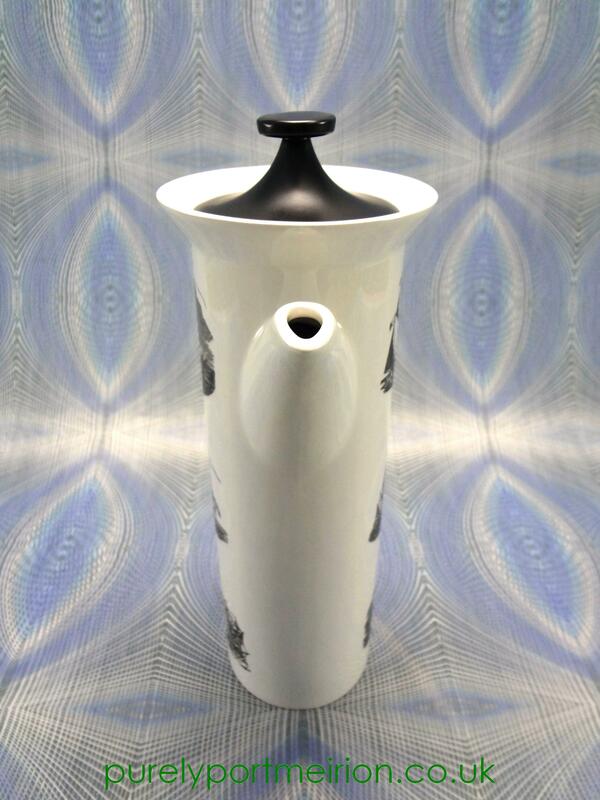 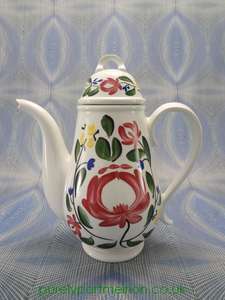 Vintage Portmeirion Serif Shaped Coffee Pot in the Sailing Ships design, by Susan Williams-Ellis. 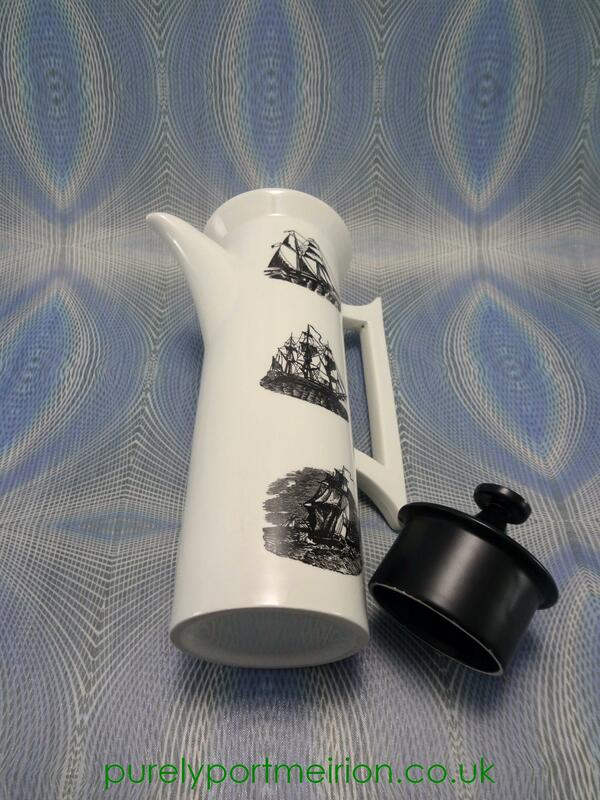 This is a rarely available serif coffee pot. 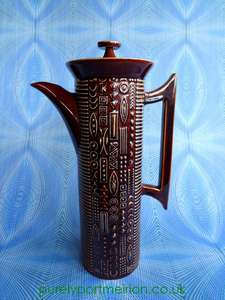 A fabulous retro item that looks fantastic on display despite having some age related crazing of the glaze. 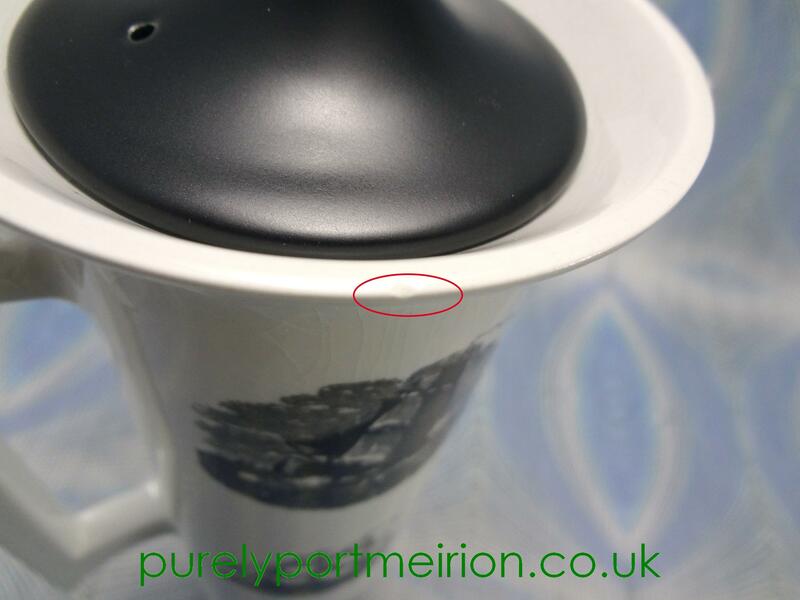 There is also a tiny nibble on the rim, please see the photographs. 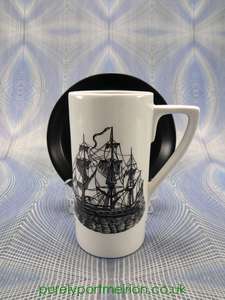 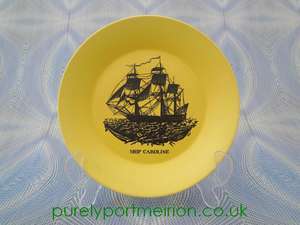 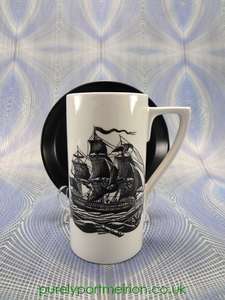 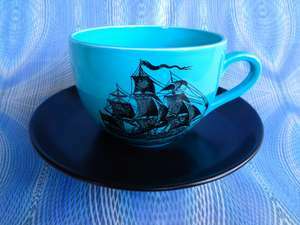 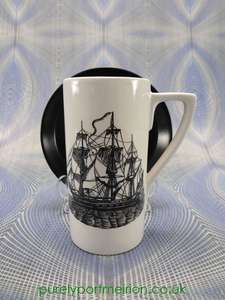 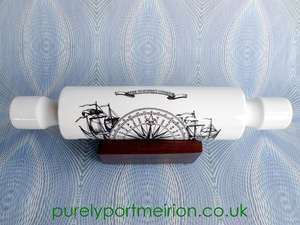 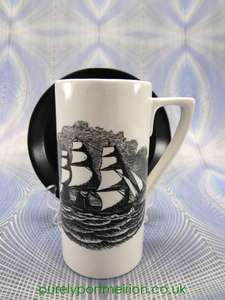 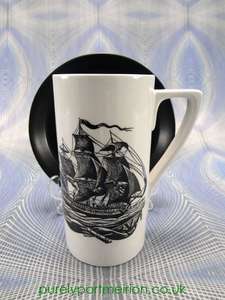 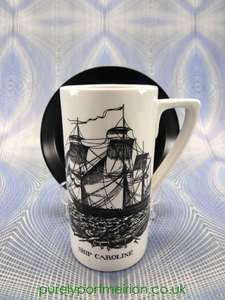 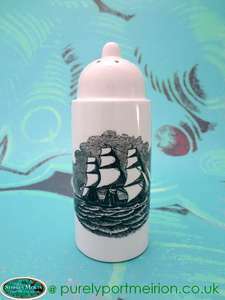 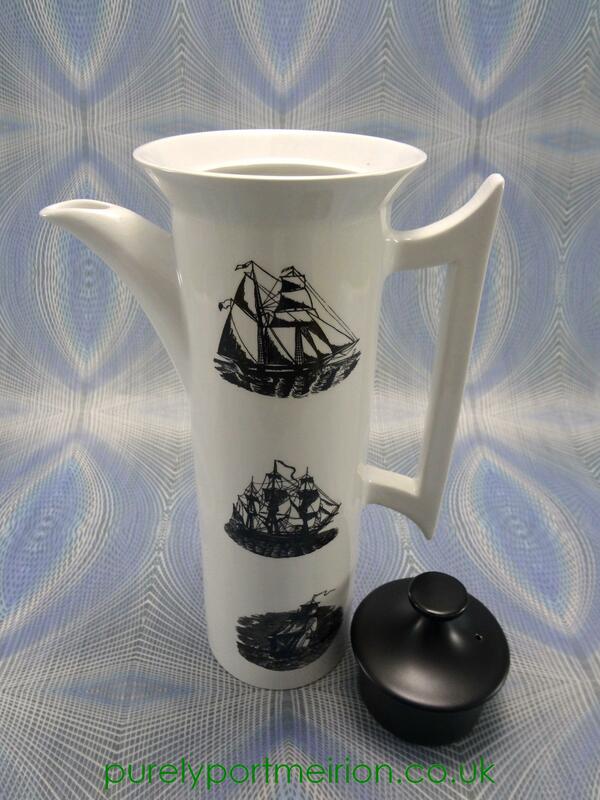 The Sailing Ships design is one of the earliest designs used by Portmeirion, coming from one of very few designs from Gray's Pottery that Susan Williams-Ellis liked enough to continue using after Portmeirion had taken over Gray's. 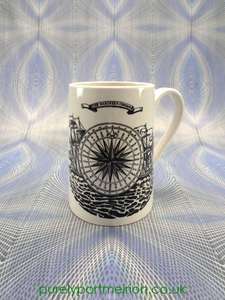 From 1962 the large range of Sailing Ships and the Mariner's Compass motif were reused on Susan's cylinder design and were used on coffee sets, covered boxes, tankards, plates, chamber pots, storage jars etc. 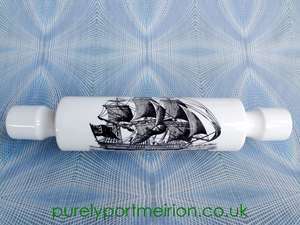 The fashionable turquoise colour was introduced in the late sixties and continued into the seventies, until the last stocks of the print were destroyed in the Portmeirion fire in 1978. 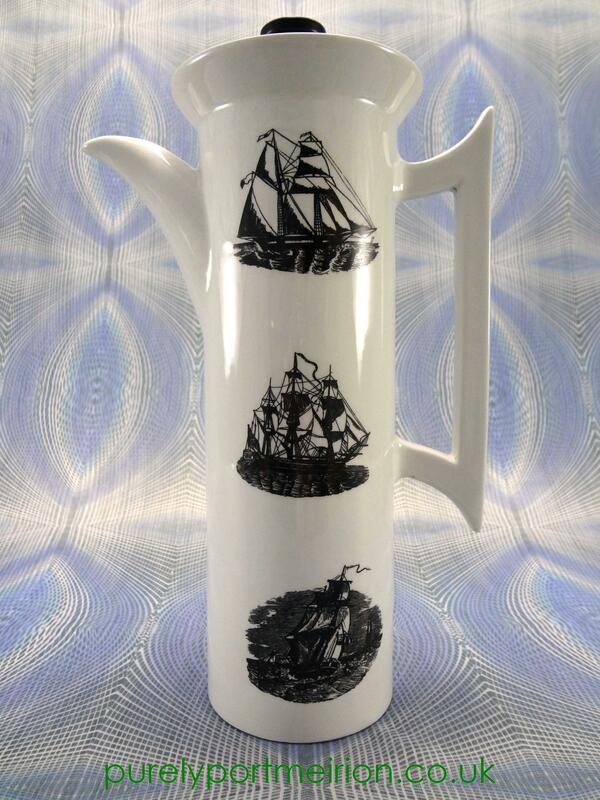 This range has now become highly collectable.